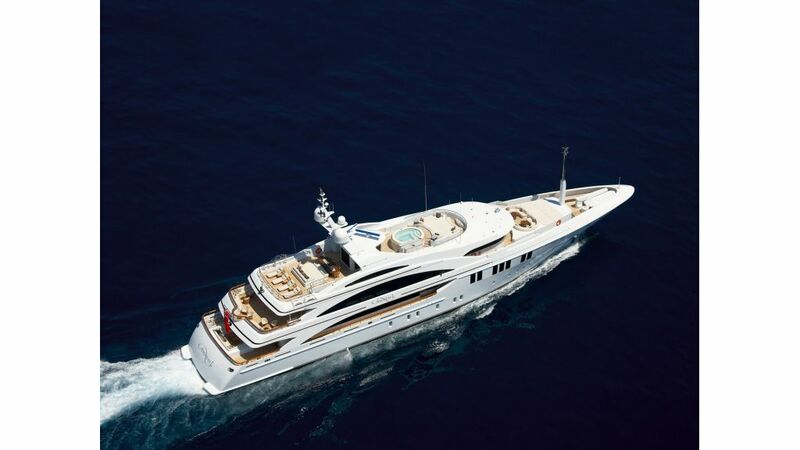 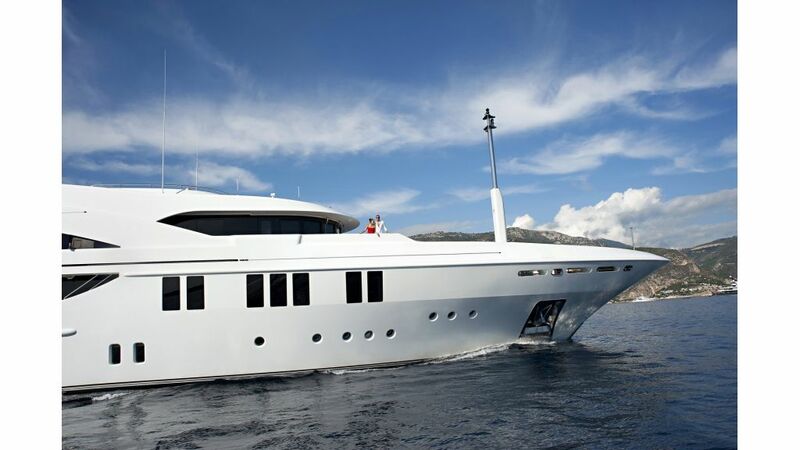 Luxury motor yacht Andreas L, built in 2008 by Italian shipyard Benetti, carries all the elegance and luxury extras flaunted by her sister ships but with a slightly more contemporary edge. 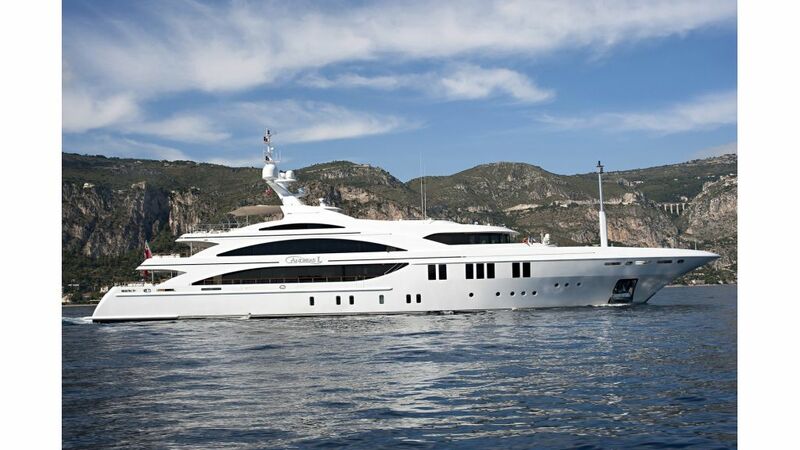 With a steel hull and aluminium superstructure, she features exterior design by Benetti while her interior is the work of Redman Whiteley Dixon. 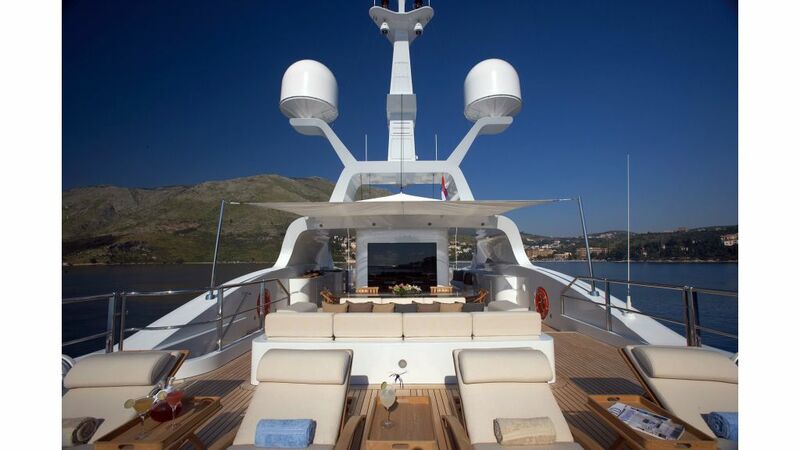 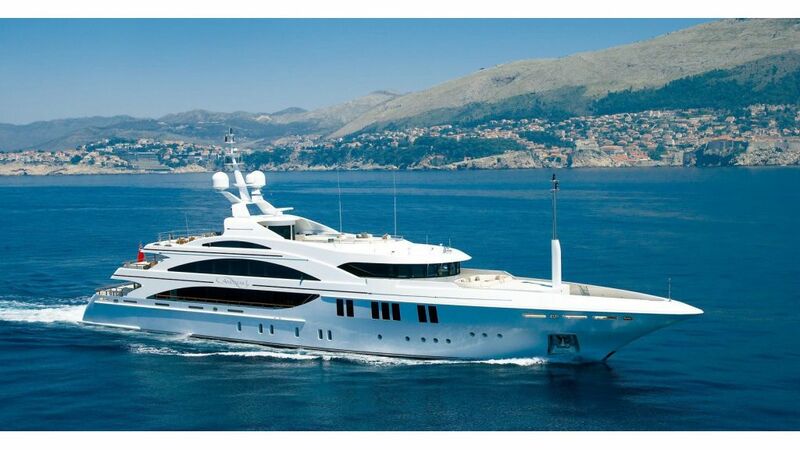 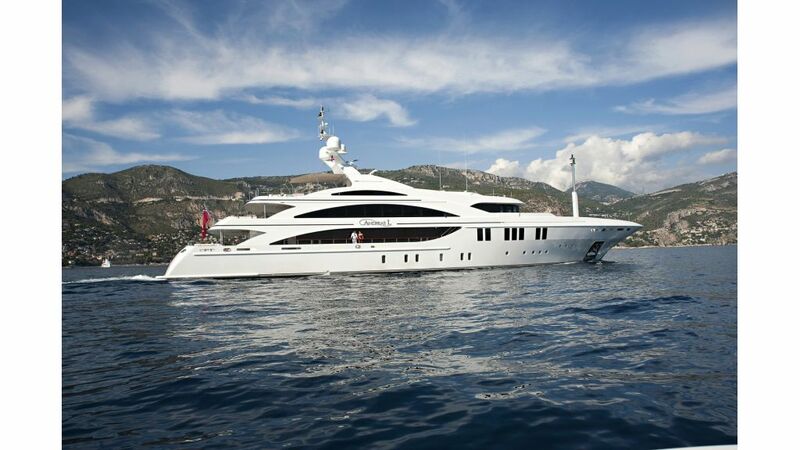 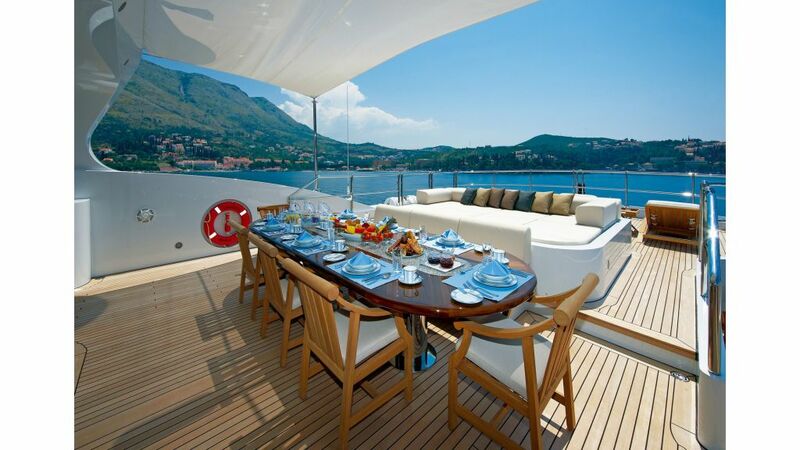 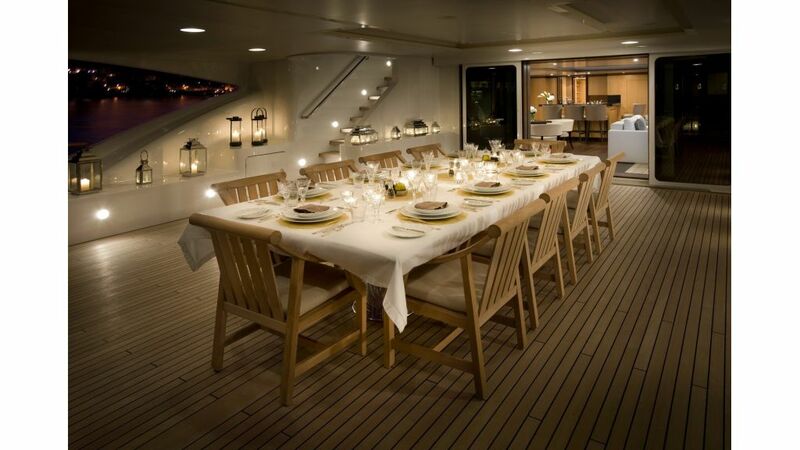 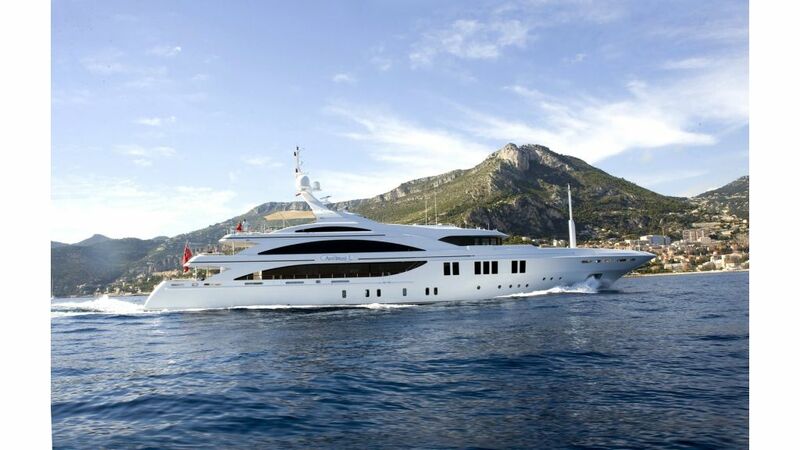 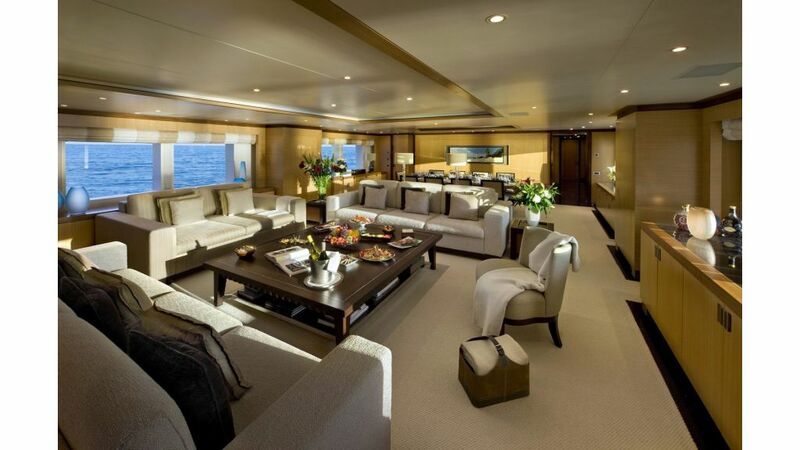 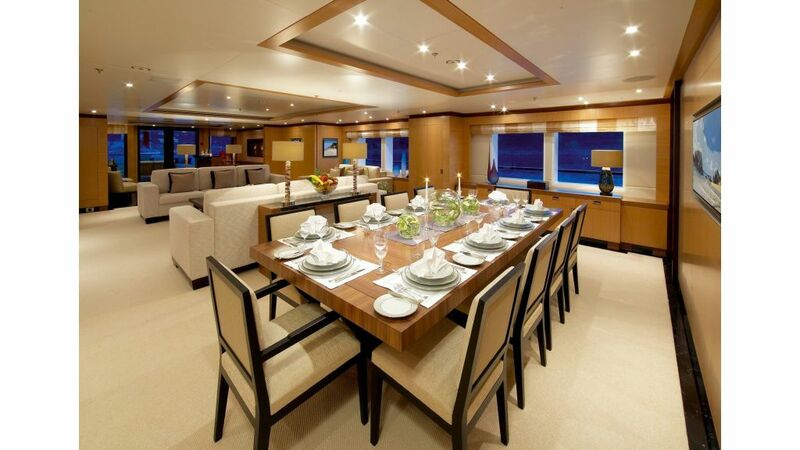 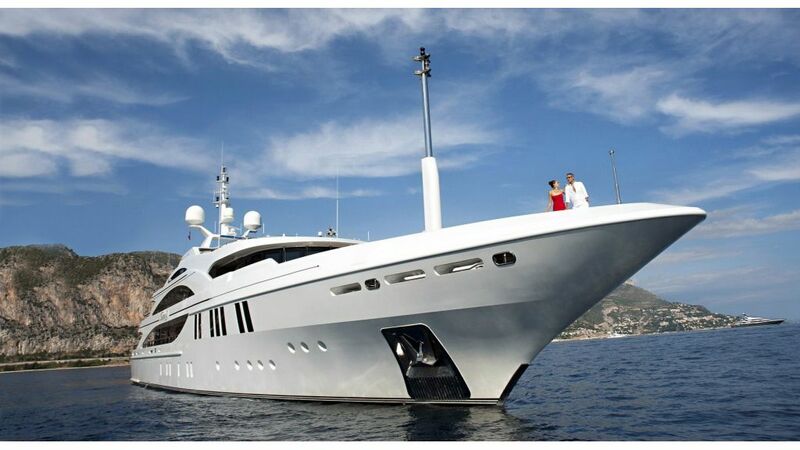 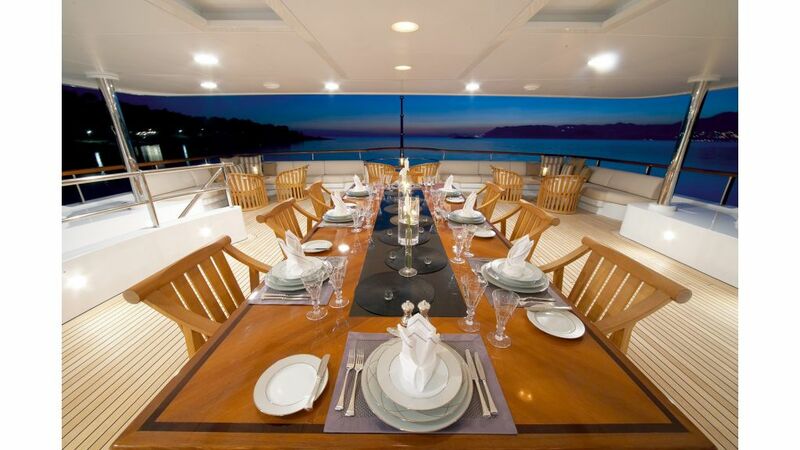 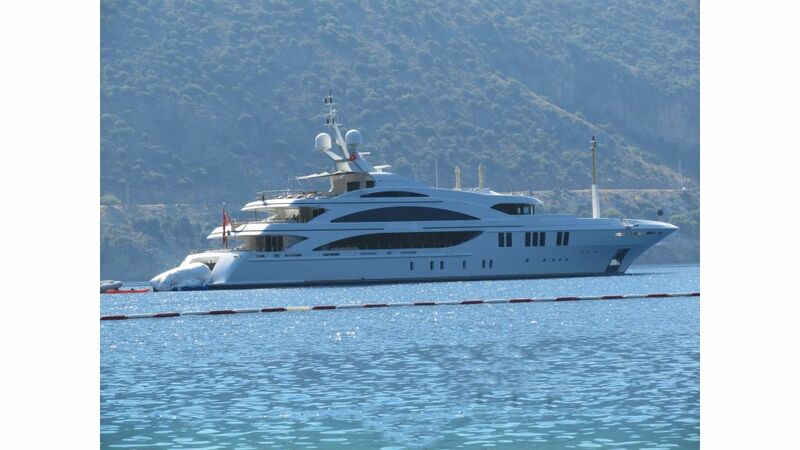 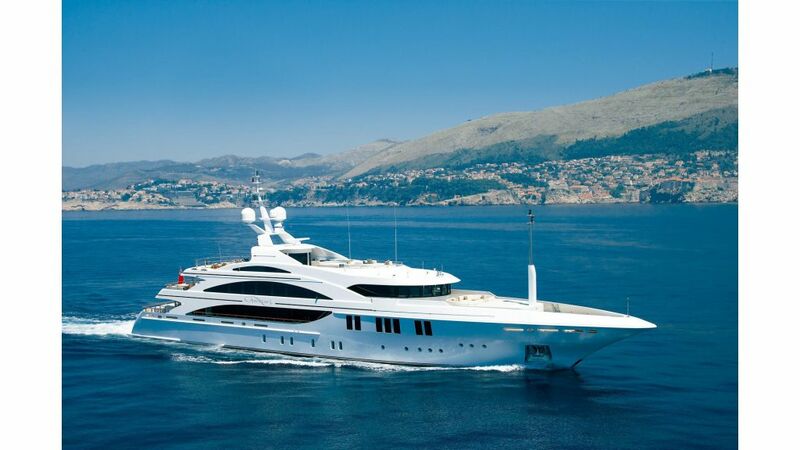 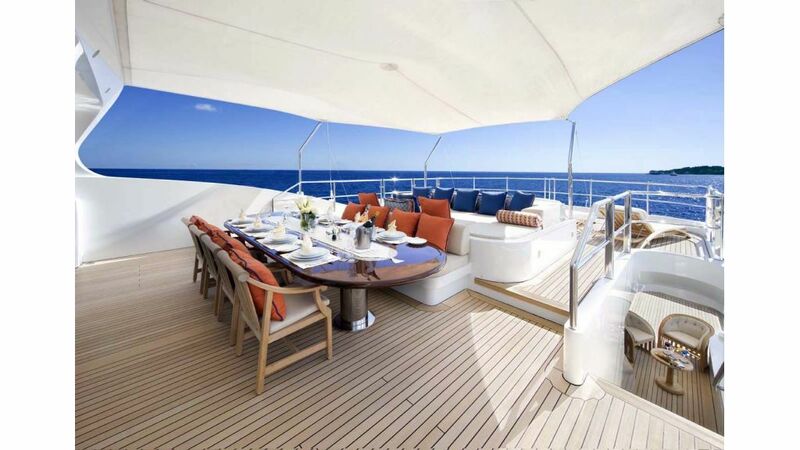 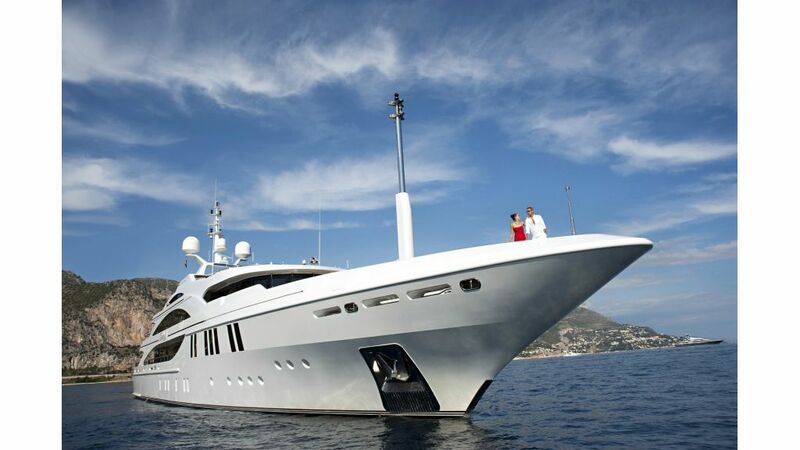 This impressive vessel measures 60 metres and can accommodate up to 12 guests. 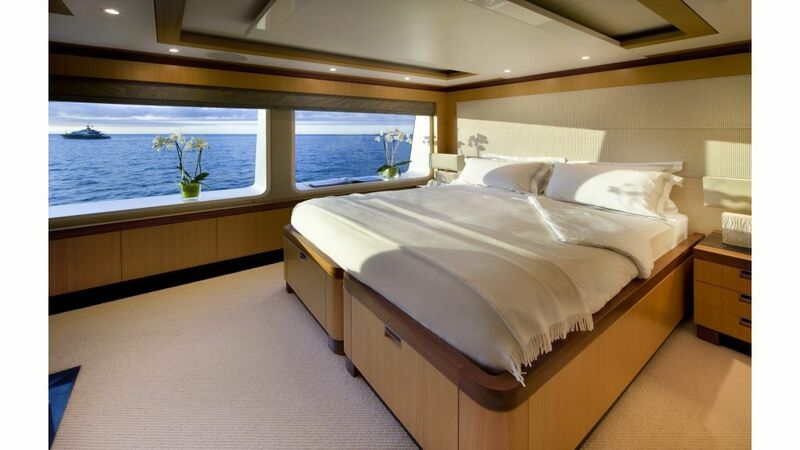 Silk cushions add an extra touch of elegance while earthy-coloured Roman shades cover the windows. 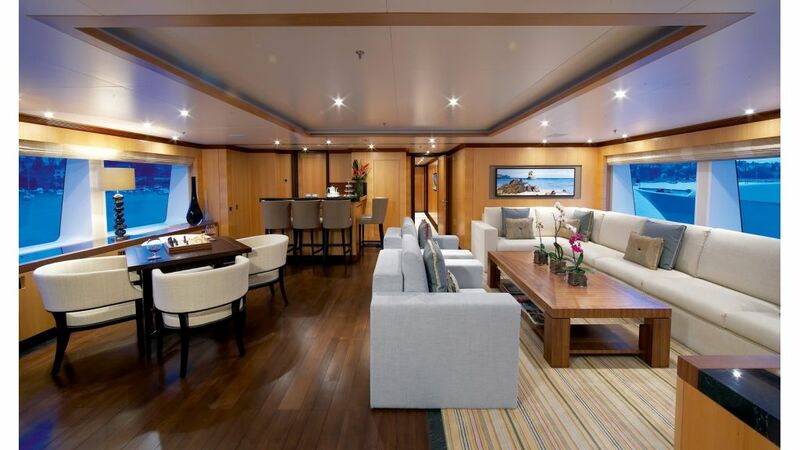 The upper saloon provides great views via its rectangular portholes and is home to a bar, games table, lounge and sofa areas and a large coffee table, all set-off by dark wooden floors and striped carpets. 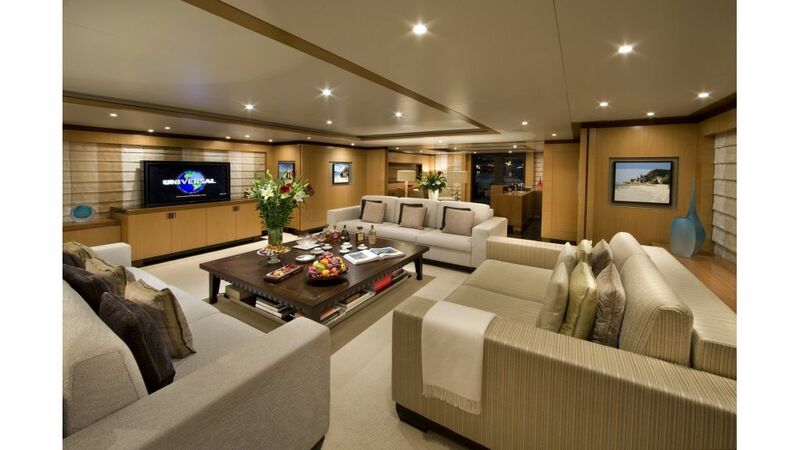 The deck is also home to a sky lounge kitted out with a bar, games table and sofas. 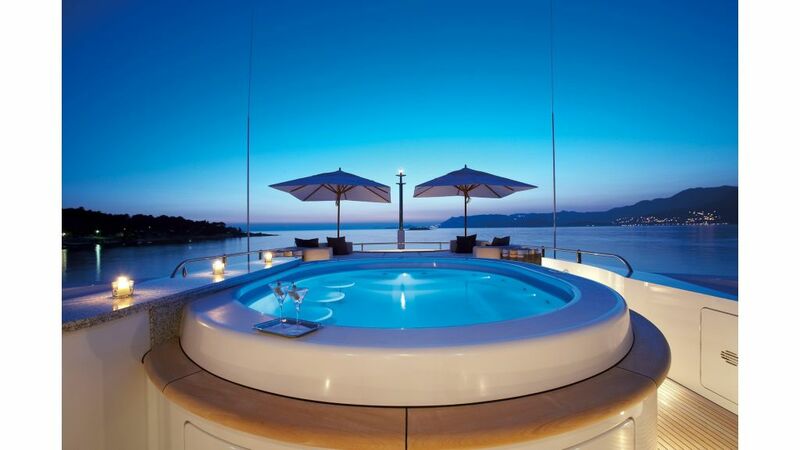 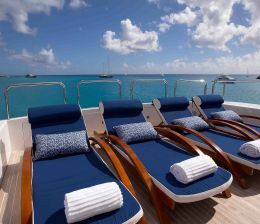 The sundeck atop Andreas L is hard to ignore, with its highlight perhaps being the massive Jacuzzi with three underwater leather-seated bar stools and colour changing lights that turn the water from deep greens to shocking pink. 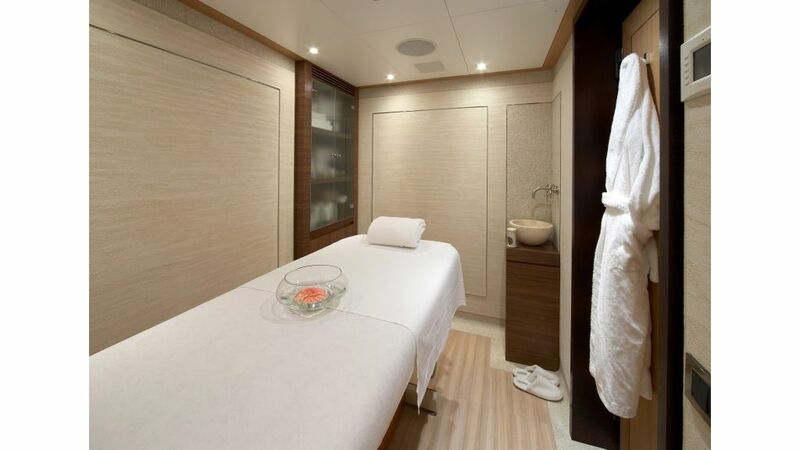 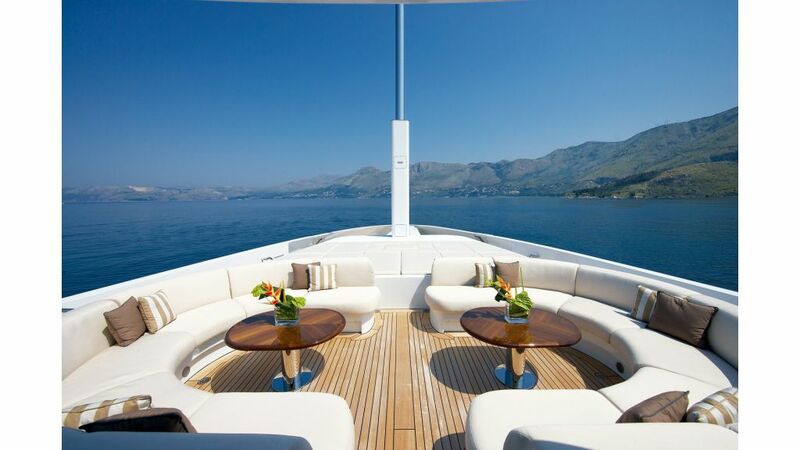 For relaxing, there are sun pads forward and sunbeds aft, alongside a casual lounge and dining area. 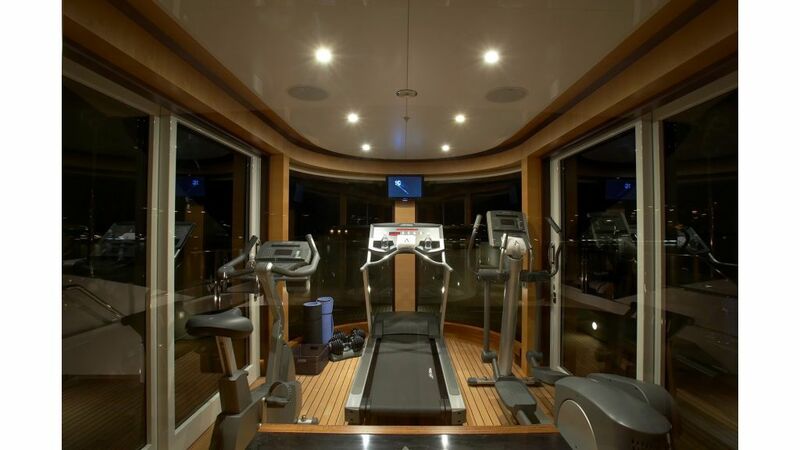 An air conditioned gym can also be found in the deck’s centre. 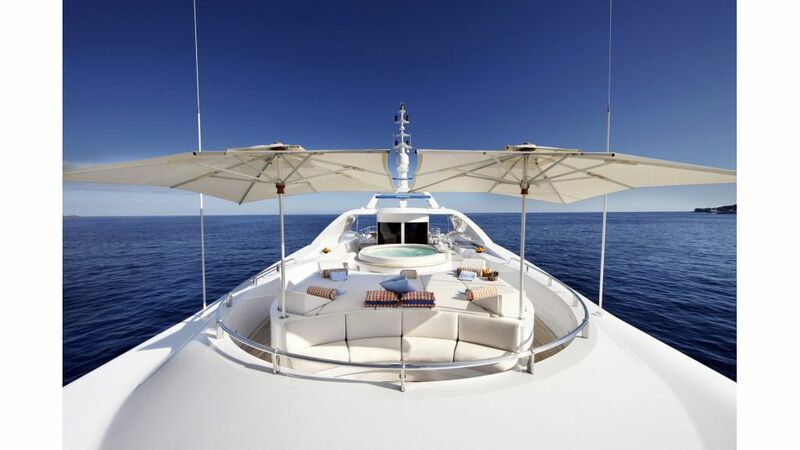 Living up to its name as a true sundeck, the area hosts no permanent biminis but rather features movable umbrellas that provide the only shade. 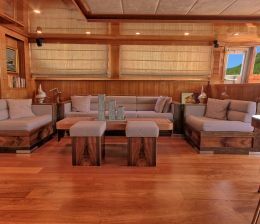 the interior theme of Andreas L is classically modern, dressed in medium-toned hardwood and contrasting walnut of a darker shade across furniture and door frames. 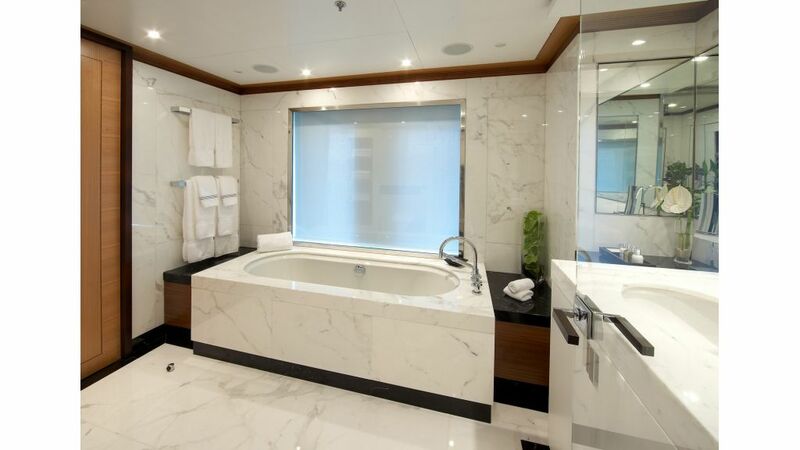 Black marble has been cleverly used to highlight certain areas of the spacious interior. 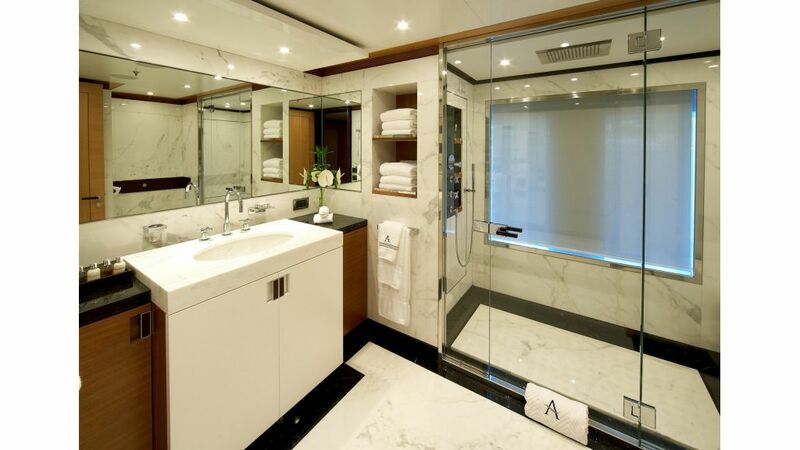 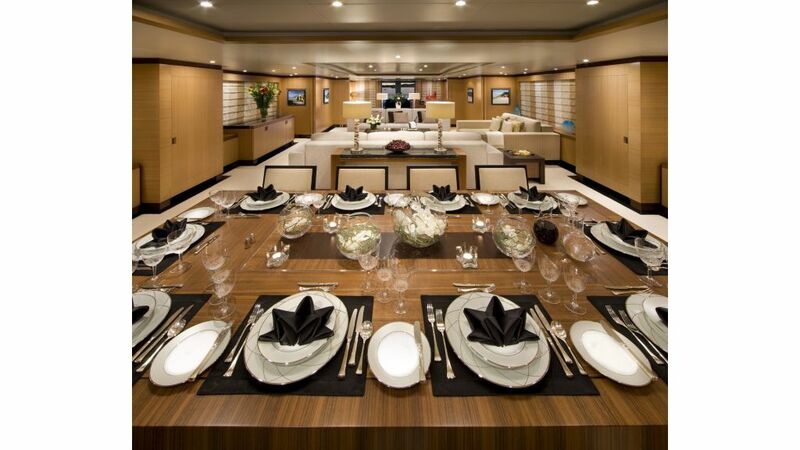 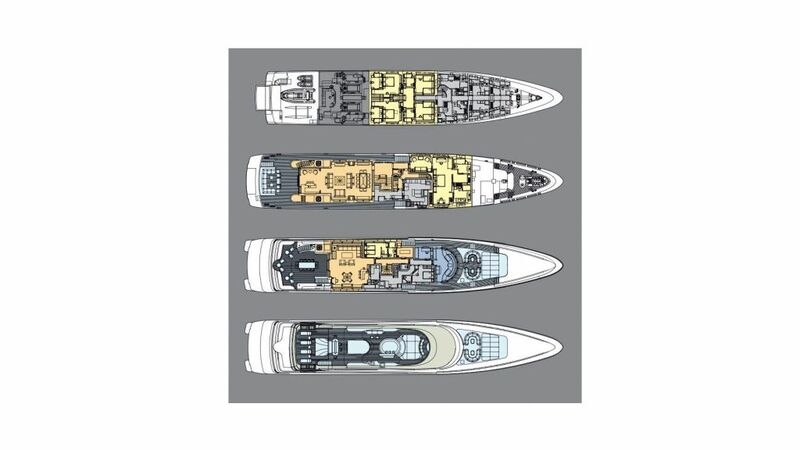 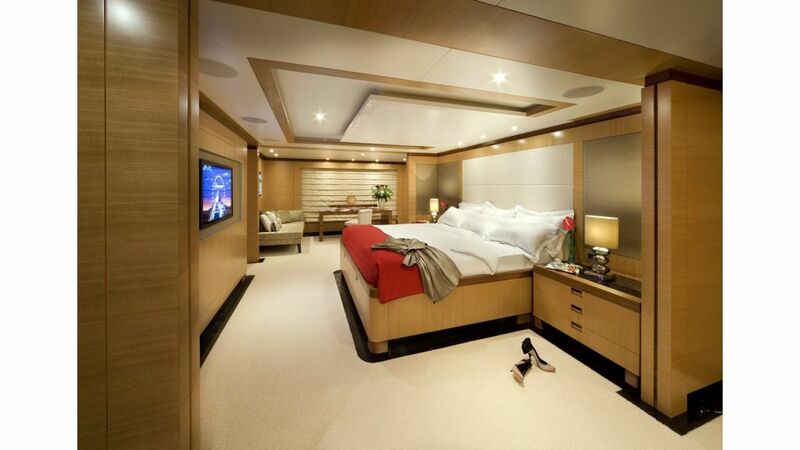 Amongst her six cabins are an indulgent owner’s suite; a VIP suite; two double staterooms; and two twin staterooms. 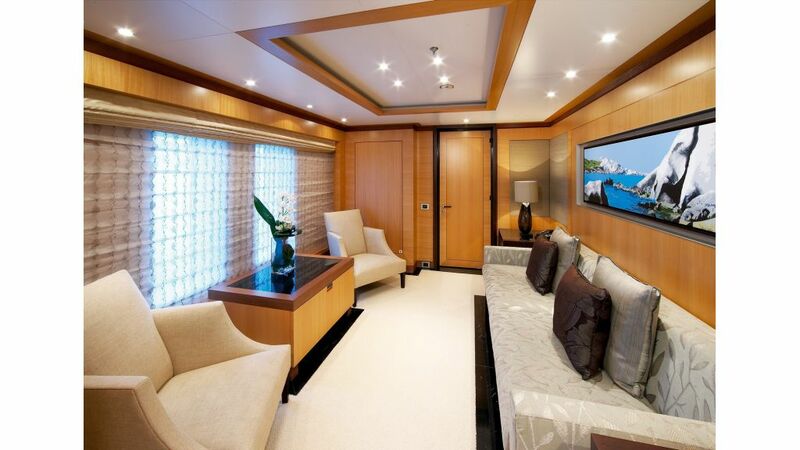 Located forward on the main deck, the owner’s suite includes his and hers bathrooms, spacious dressing rooms, a private study and a sitting room with flat-screen television. 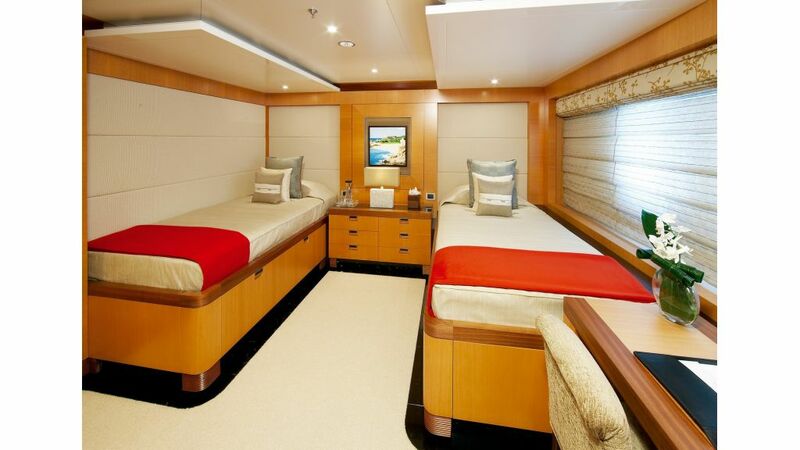 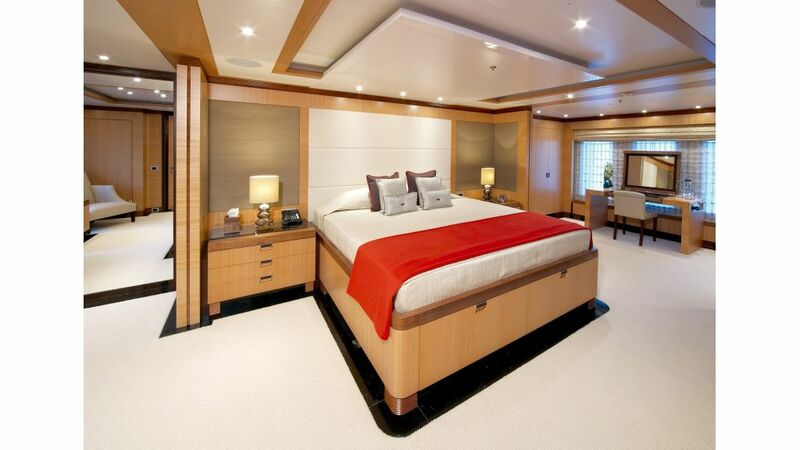 Found on the bridge deck, the VIP suite can also be split into two separate cabins with twin beds if needed. 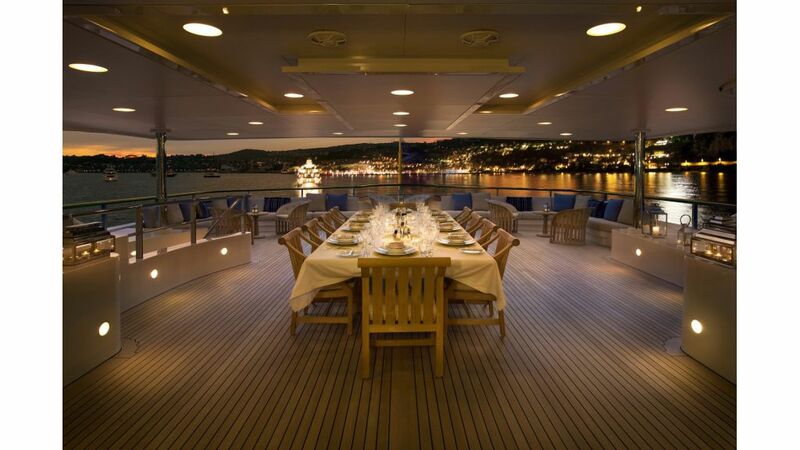 The four remaining guest cabins are located on the bottom deck. 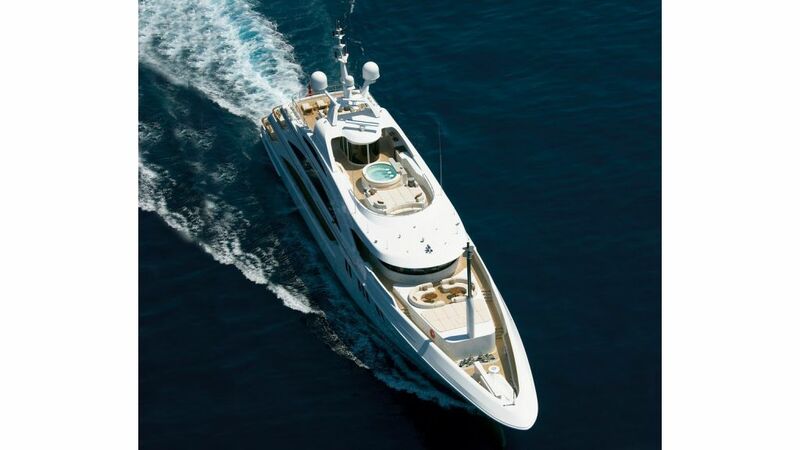 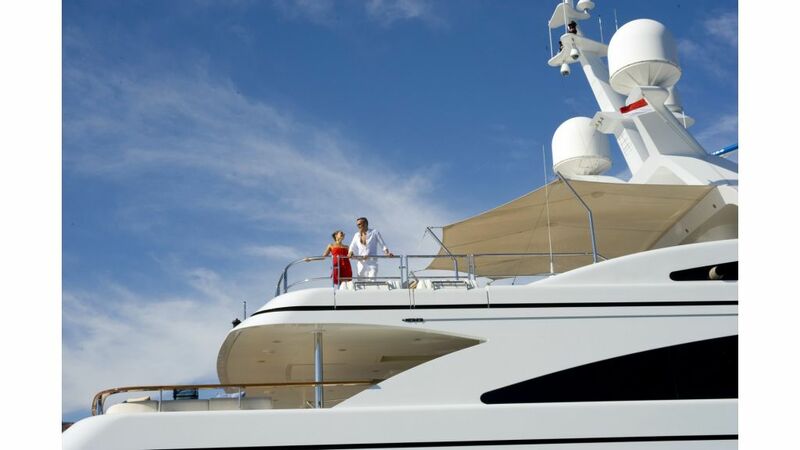 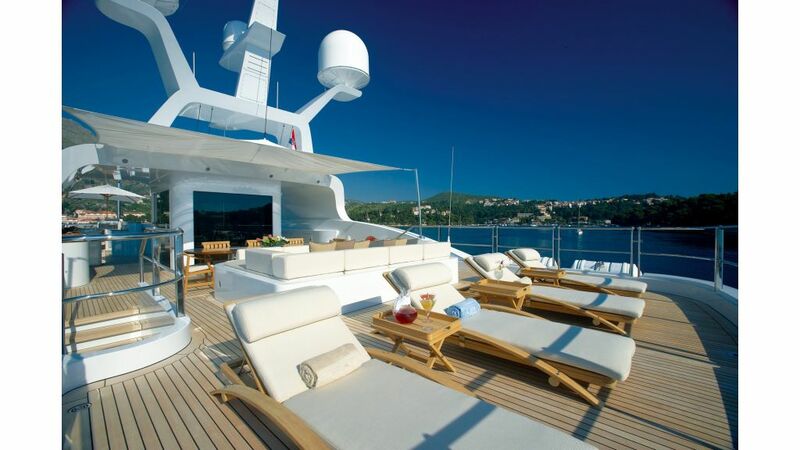 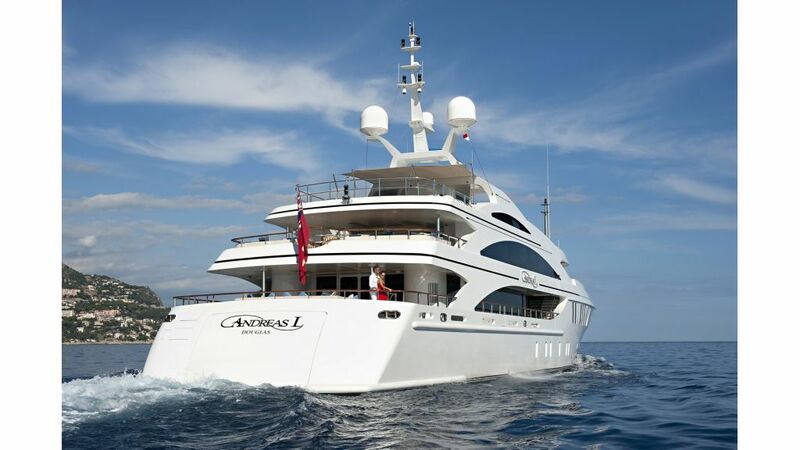 Featuring a dedicated crew, Andreas L is an excellent charter yacht for luxury vacations. The yacht cruises comfortably at 15 knots while her crew of 16 ensure the needs of every guest are met. 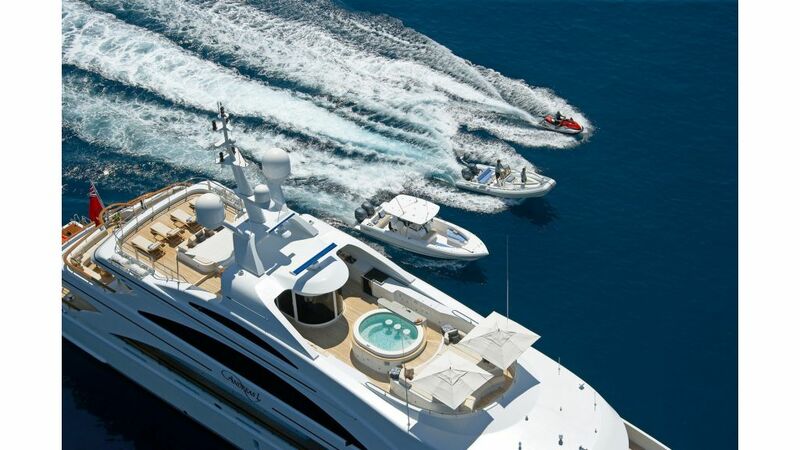 The luxury motor yacht is equipped with an armada of water toys to provide endless entertainment during any yacht charter. 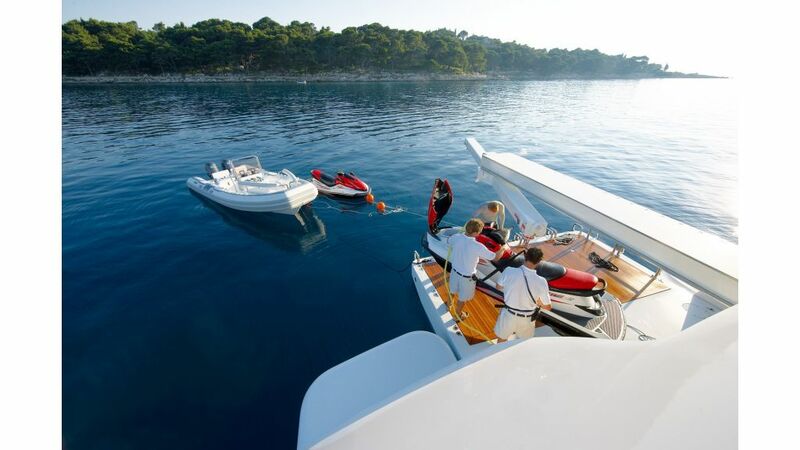 Onboard water toys include water skis, floating pad, floating trampoline, sailing dinghies, wave runner, tenders, a catamaran and a full range of scuba and snorkelling equipment.